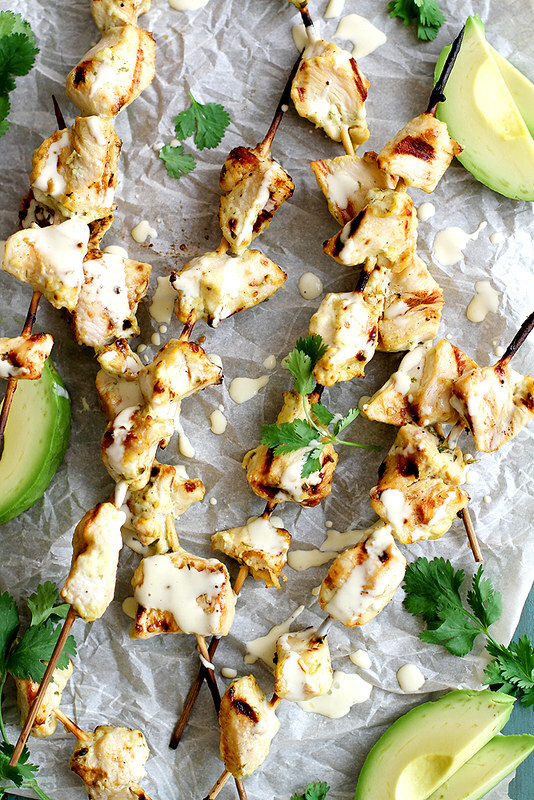 Say hello to my new favorite way to grill chicken — that is to say, marinating it in an avocado ranch mixture, kabob-ing it and then putting it on the barbie. Oh, and did I mention it takes approximately threeve seconds to put together? And then another approximately threeve seconds to grill? And then after it’s done you can eat it right away in all its tender, juicy, avocado ranch-y grilled glory? Like I said — NEW FAVORITE of all the grilled chickens. And maybe even my new favorite grilled food in general. That’s saying something, too, because during the summer we grill a lot. Like A. LOT. Try at least two to three times a week. Though with Elliott’s schedule we don’t really have weekends on the actual weekend (sometimes he’s off work during the week but works on the weekend, so we adjust accordingly), when we do “weekend,” we almost always fire up the grill. It’s just so easy, everything that cooks on it tastes delicious and when summer life gets a little cray-cray (wait nobody says that anymore do they, moving on), the grill is our friend. So is a margarita, but that’s a different story. 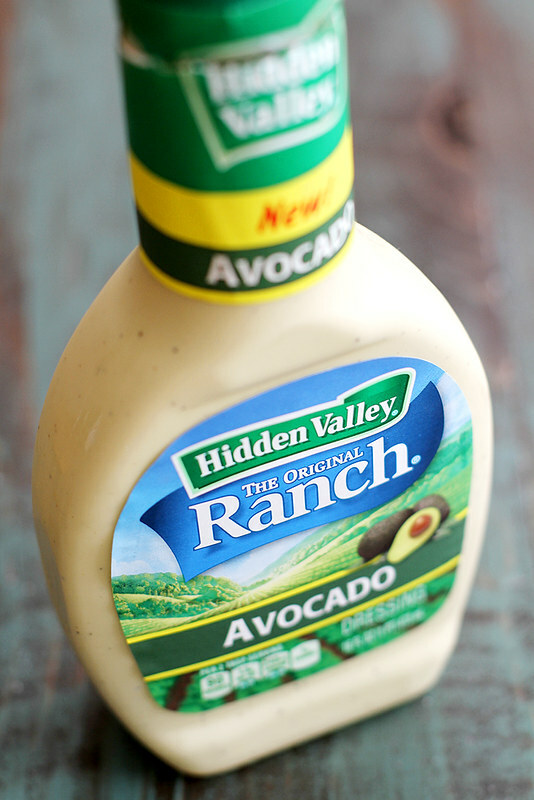 The new Hidden Valley® dressing flavors — which, by the way, include this Hidden Valley® Avocado Ranch but also Hidden Valley® Cucumber Ranch, Hidden Valley® Cucumber Ranch Light, Hidden Valley® Sweet Chili Ranch and Hidden Valley® Roasted Garlic Ranch, YUMMM — inspired me to put a new twist on our grilling nights with this easy and flavorful avocado ranch grilled chicken. What I love most about this recipe is how simple the marinade is and how much all of the flavors shine in the end result. 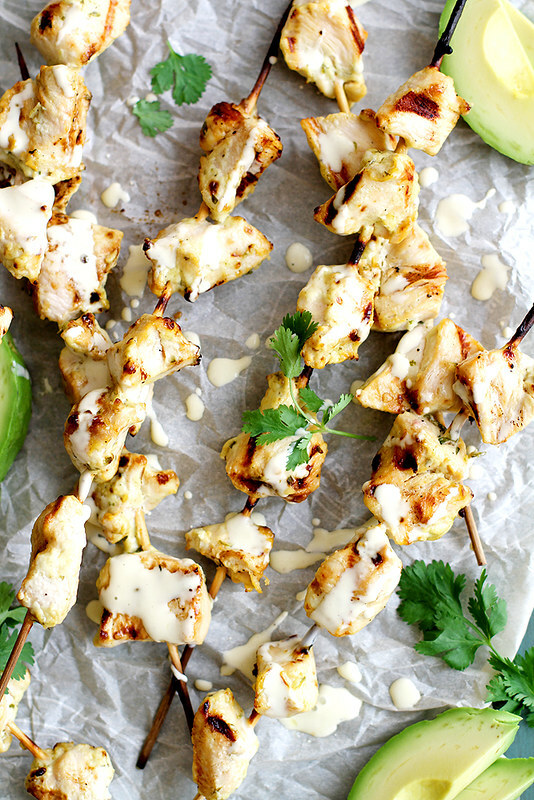 You just mix together some dressing, garlic, lime, cilantro, oil, salt and pep, let the chicken soak up all of the creamy, tangy marinade, then place the chicken on skewers (pro tip — soak the skewers in water for about 30 minutes before placing them on the grill so they won’t burn as much!) and grill them up. Add a few veggies to the grill or a salad with more of that avocado ranch dressing (which we’ve been living on for the past week, no joke), and dinner is served! Even the munchkin loves this chicken, and to get the girl to eat meat is nothing short of a miracle. 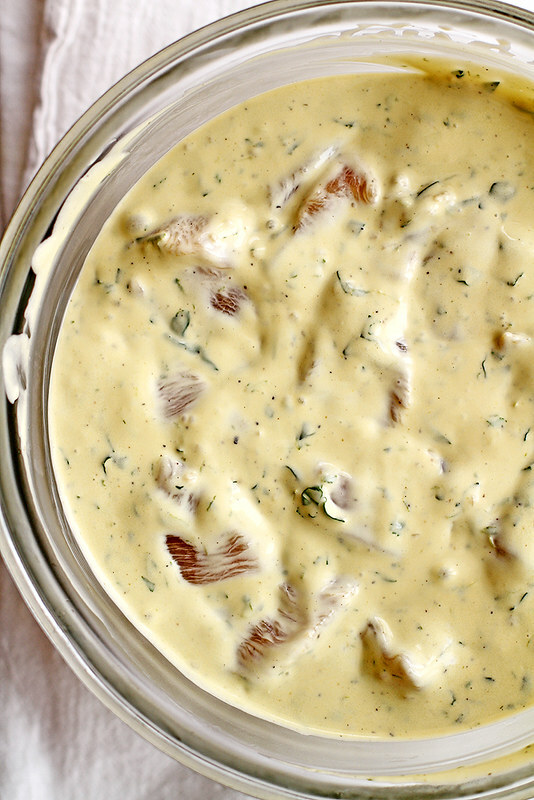 I thank you a million times over, avocado ranch dressing. You, me, the barbie, this tasty grilled chicken, some margaritas, summer livin’. Let’s make it happen. P.S. For more Hidden Valley goodness, check out their website, Facebook, Twitter, Instagram or Pinterest pages. In a large bowl, stir together dressing, lime zest and juice, cilantro, garlic, salt, pepper and olive oil until combined. Add cubed chicken and stir to combine. Cover bowl and refrigerate at least 4 hours or overnight. Heat grill to medium heat (around 350 degrees F). 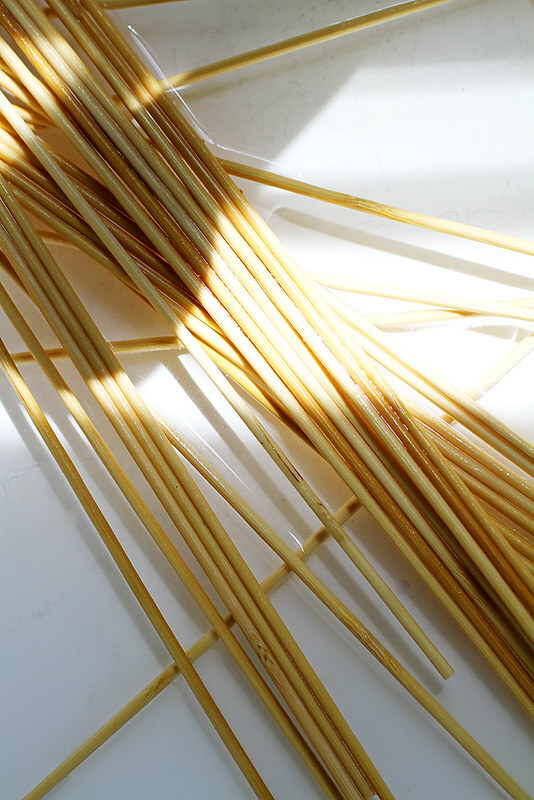 Meanwhile, soak skewers in water for at least 30 minutes before grilling. 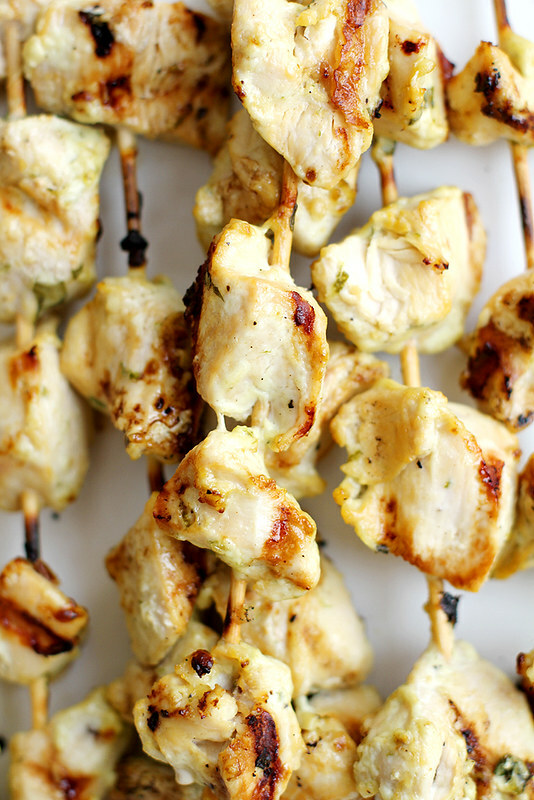 Remove chicken from marinade and place on skewers, leaving a bit of space between each piece of chicken. Place skewers on grill and cover grill. Cook 10 minutes until grill marks appear on chicken, then flip over to grill other side. Cover and cook another 5 to 7 minutes until a meat thermometer inserted in chicken reads at least 165 degrees F.
Serve chicken with more dressing to drizzle on top, if desired.